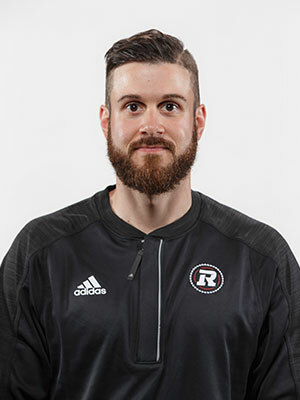 Nick Mercuri joined the REDBLACKS in the spring of 2015 as an Assistant Athletic Therapist before being promoted to the role of Strength and Conditioning Coordinator following the 2016 season. The Stoney Creek native studied Athletic Therapy at Sheridan College and has worked with multiple Varsity Teams at the University of Waterloo. Nick is also certified in Soft Tissue Release, Muscle Energy Technique and is a Sports First Responder.